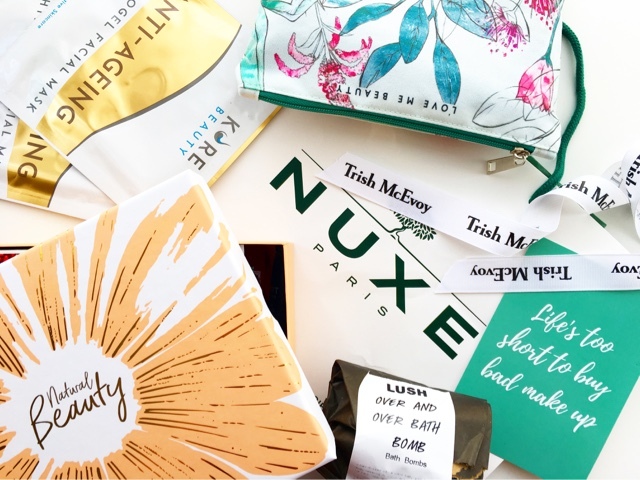 It's no secret that I am obsessed with this monthly beauty subscription service. The selection of products is amazing, its great value for money and you don't have to pay for delivery! Yay! This month I had to get another Rituals Under A Fig Tree Reed Diffuser because I got it with my 2nd subscription last month and its so amazing and effective and easily the best reed diffuser I have ever come across. And because I love home fragrance items but don't like to splurge on them I picked The White Company Orange Grove Mini Candle. Of course I chose some more new skincare bits to explore such as Africology Purifying Cleansing Gel which is a brand I've never heard of before but the ingredients sound promising and it comes in a cute glass bottle, Omorovicza Refining Facial Polish because if you ever get a chance of trying sample/deluxe sizes from this high-end brand you have to go for it and Mitchell & Peach Fine Radiance Face Oil. Finally we have The White Company Seychelles Hand & Nail Cream which is perfect for my handbag. This month's edit is brimming with beautiful brushes and makeup tools to perfect your makeup application game. 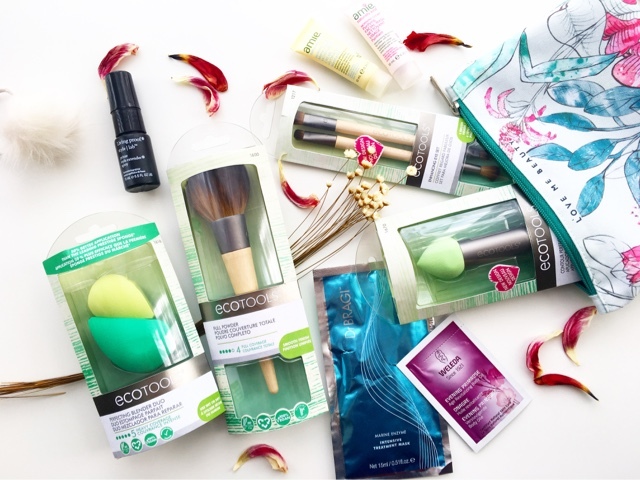 EcoTools is one of the those brands that is highly raved about for their high quality products so its great to see so many choices available including Full Powder Brush, Eye Duo, Perfecting Blending Duo & Contour Perfecting Sponge which is the one I am most excited to try. 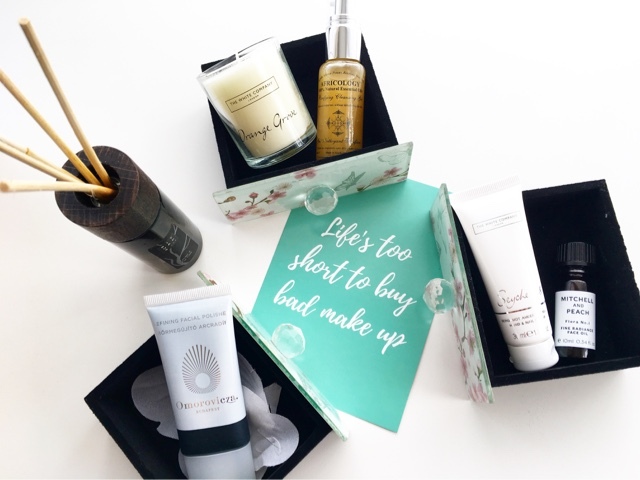 There's also a choice between a Living Proof Prime Style Extender Cream/Spray, an Amie Natually Kind Cleanser & Moisturiser duo and Dr Bragi Intensive Treatment Mask. And of course, like every month you get a gorgeous little cosmetics pouch and this floral themed one is perfect for this time of year. The Natural Beauty collection comes with 7 products this month designed to celebrate your natural beauty and to give you the confidence to flaunt your natural beauty. There's something for your hair, skin, wellbeing and makeup. 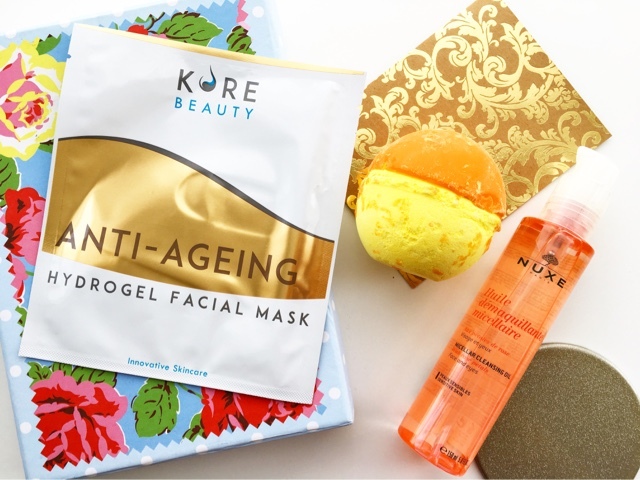 As a Sheet Mask Addict I was super excited to see VitaMasques Pomegranate Sheet Mask in the mix. And of course I am so glad to have my hands on Omorovicza Cleansing Foam. The one makeup product is Laura Geller Balance N Brighten Powder Foundation - Fair which is a little light for me but I am willing to try to make it work. Quite possibly the most exciting package I have ever received was hand delivered to me last weekend, which was enough to get me all giddy. So all the luxurious products wrapped up inside literally made me squeal. 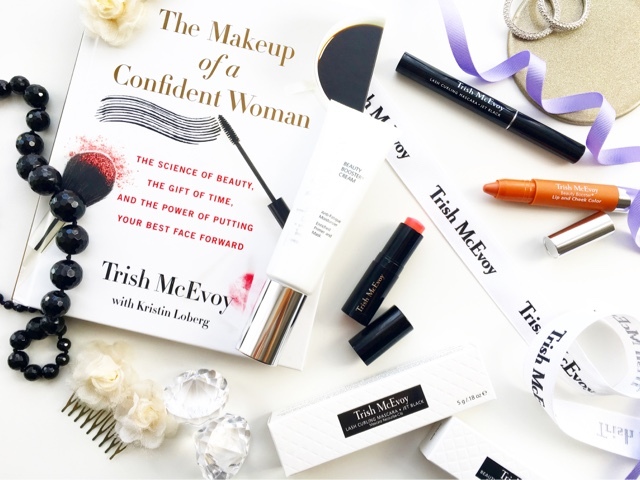 Trish McEvoy is a world renowned makeup artist, entrepreneur and mentor with a luxury cosmetics line sold here in Liberty, Selfridges and Harvey Nichols. I was lucky enough to be sent a selection of products to try out and so far I am impressed and am quickly falling in love with the brand. Trish McEvoy Beauty Booster Cream is a moisturiser, mask and primer in one that helps keep your foundation looking fresher for longer but also targets fine lines and signs of fatigue by refining and brightening the complexion. Trish McEvoy Lash Curling Mascara is the first ever 'tubing mascara' I have ever used and I am blown away by how long lasting the formula is, how gentle it is on my eyes and still can't get over the technology of this mascara. Trish McEvoy Lip Perfector Conditioning Balm is a univeral balm that adds a little tint to the lips while nourishing them and making them look and feel healthy. Trish McEvoy Beauty Booster Lip & Cheek Color is a lovely creamy formula that glides on and is easily blended out to add some colour to the complexion and lips in a convenient twist-up tube. Finally, I am so excited to have a new book in my collection and cannot wait to learn some new makeup techniques and tips from the extensive wisdom and experience of Trish McEvoy herself. 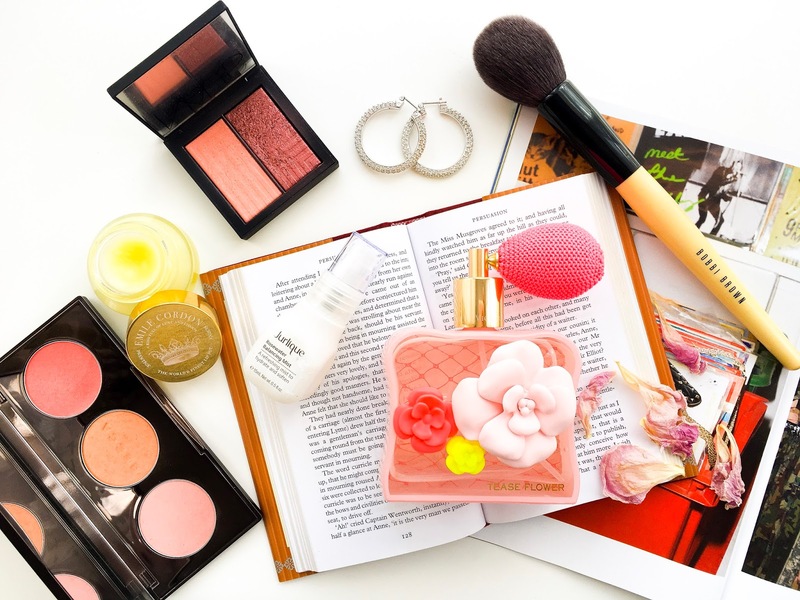 The Makeup Of A Confident Woman is full of detailed passages relating to getting the most out of your makeup, your mindset alongside incredible makeup transformation pictures highlighting how makeup can accentuate natural beauty. I am in love with this new cleanser which is incredibly gentle on the skin and eyes and removes all makeup and suncreen products without stripping the skin. I love the idea of combining a cleansing oil with micellar technology, which results in a super effective and gentle formula. I've used this on my eye area with liner and mascara and it melts it right off and is simply removed with a warm damp cloth. 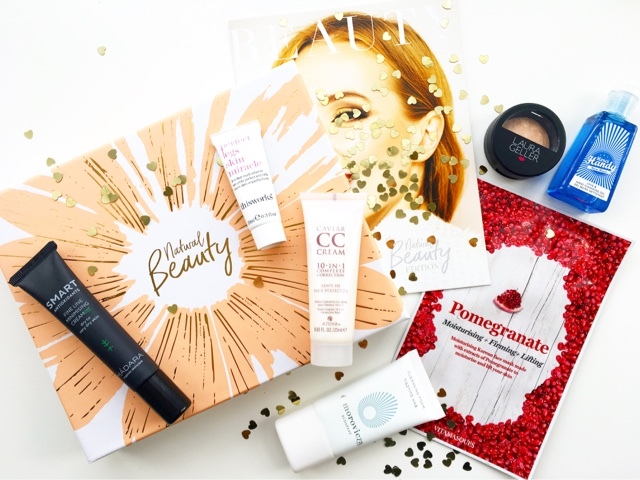 Do you subscribe to any monthly beauty subscriptions? Do you spot any favourites here? What is your favourite bath bomb? 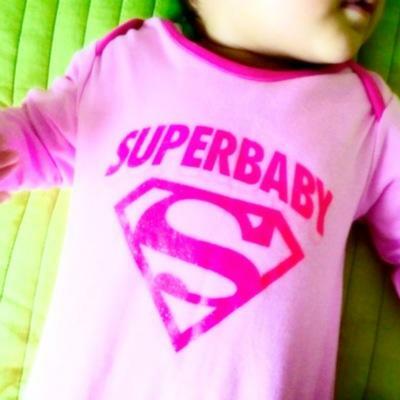 I'd love to know..
* This post contains PR/Gifted items. All opinions are my own and 100% honest. Please see my Disclaimers for more information.